Yesterday I visited Mayglass in South Co Wexford. 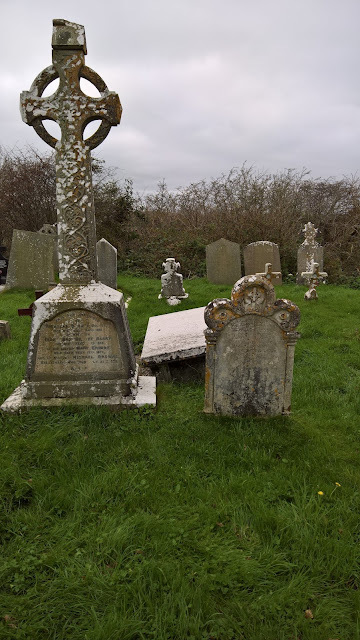 Through a contact via Ancestry.co.uk I had a document that was a typed record of headstones in a graveyard in Mayglass. 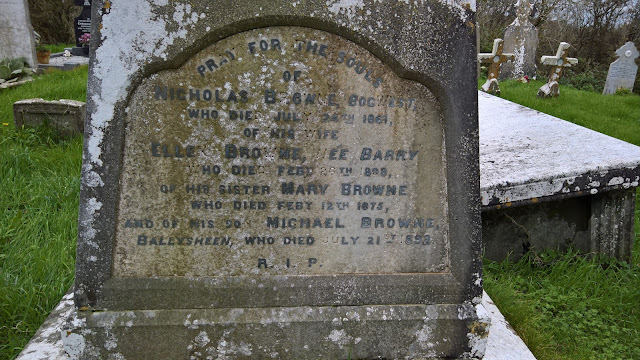 My great-great-great grandparents Nicholas and Margaret (née Barry) Browne were listed as being buried there - so I decided to check this out. The graveyard is small, with lots of headstones with faded writing that was difficult to read. After about 20 minutes searching I found them! Curiously Nicholas is shown on two headstones that are side-by-side. 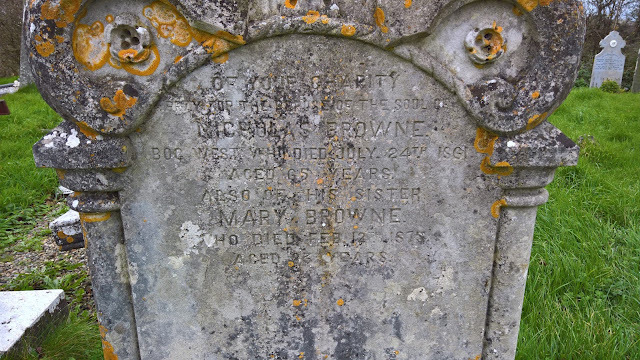 He died 156 years ago on 24th July 1861 aged 65 - this means he was born in 1795 or 1796. Margaret died on 26th February 1898 - her age is not given. An intriguing possibility is that both are related to famous 19th century navy men - Admiral William Browne (founder of the Argentine Navy) and John Barry (founder of the United States of America Navy)! I’ll be doing my best to try and find out if this is the case. It’s a long shot, but I’m sure it is a nice unique link to the sea.